Welcome! This Thursday it is FREEZING in the Hudson Valley but we are managing to stay warm. We didn't the huge amounts of snow predicted for the so-called blizzard earlier in the week and we hope for those affected that everything is okay. We have a celestial feature today as we bring you one of a handful of stops for the Sing For Me tour. We have our review and there's a tour-wide giveaway too. Enjoy! I usually write long reviews but this one will be different since I don't want to give anything about the story away. What I will say is Sing For Me is the first book in author Gracie Madison's Angels and Arias series and fans of books about angels, hunters and demons with romance will want to read this. Main character Madeline has a unique ability and I grew to really like her and a certain hunter named Damascus. Oh, and there's music, singing, a stage production and a theater group to really liven things up and bring out the music geek inside all of us. And did I mention a diva? Yep, there's one here. Sing For Me caught my eye with its very pretty cover and kept me not only engrossed but entertained the whole way through. A little slow to begin, the pace picked up and held steady. The characters were well developed, the storyline featured different fantastical beings, and the romance, though occasionally frustrating, kept me rooting for the two. I was thoroughly sucked into the whole theater production complete with diva and the interesting dilemma the main character had to endure. 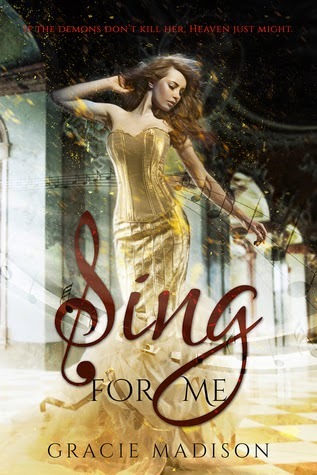 As a paranormal book junkie, Sing For Me is an angelic read which offers readers something new, a hunk to fan oneself over along with mystery, action and intrigue. What are you waiting for? Go grab a copy now! I hear the eBook is on sale for under a buck (but will not last for long at this price). I also heard that the second book will be releasing soon so don't fret about having to wait. I said it was pretty. It is. I received a promotional copy in return for my honest opinion. 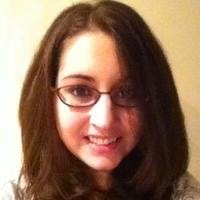 Gracie Madison would spend every day, all day writing…if it were socially acceptable. Ever since she was a little girl scribbling with a crayon, Gracie’s dedicated herself to her books and all the supernatural and paranormal, creepy and beautiful stories and characters born within the pages. Now Gracie is committed to finally sharing those books with the world. When the laptop is pried from her hands, Gracie is probably working her day job, rooting on the Steelers, or out with her husband searching for Pittsburgh’s best sushi. I love paranormals and this one sounds great. Definitely want to check it out.